Just a few decades ago the nation barely featured in the world science rankings. Now, in terms of research spending and the number of scientific papers published, it stands only behind the US. 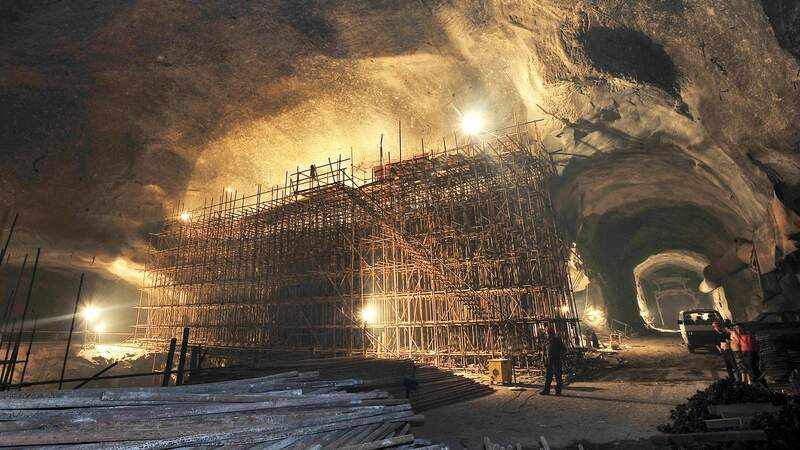 But despite this rapid progress, China faces a number of challenges. Here are five key science projects that illustrate its enormous strengths, as well as some of its weaknesses, and may help answer the question whether China can become a global leader in research. 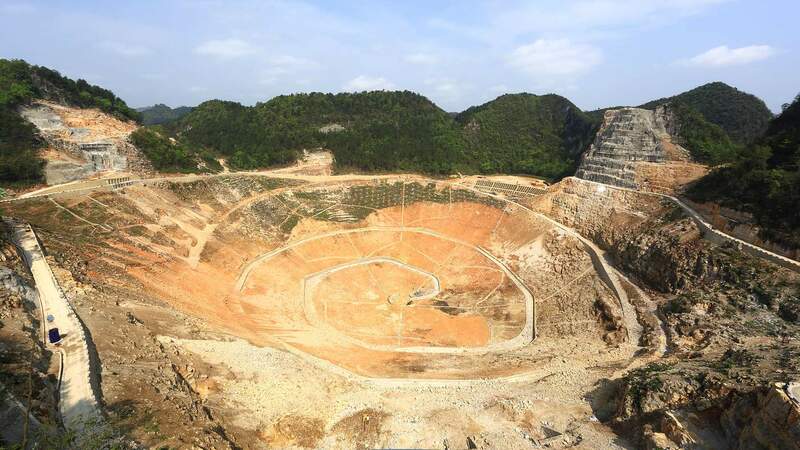 Nestling in a vast natural crater, China’s giant is about to come alive. 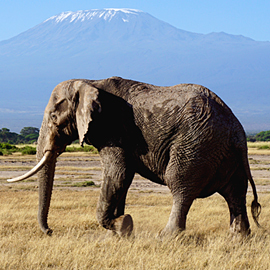 A colossal, steeply curved dish glints in the sunlight, surrounded by jagged mountains that cut into the sky. Construction workers, busy putting the finishing touches to this structure, look tiny against the huge backdrop. 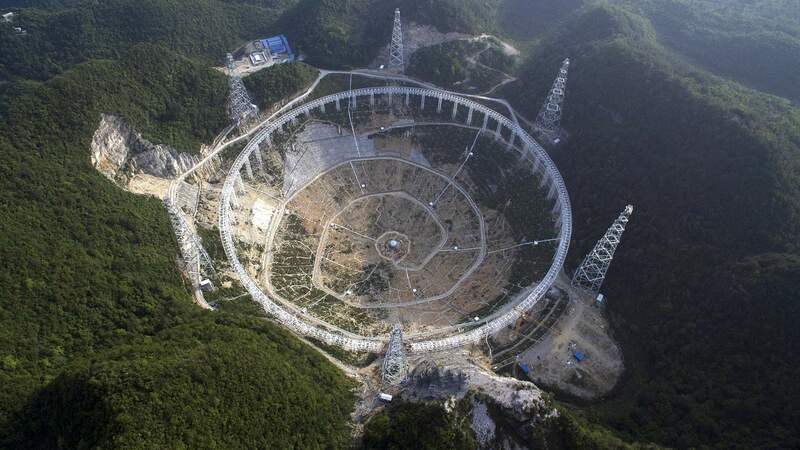 This is the largest radio telescope ever built, measuring 500m (1,640ft) across. 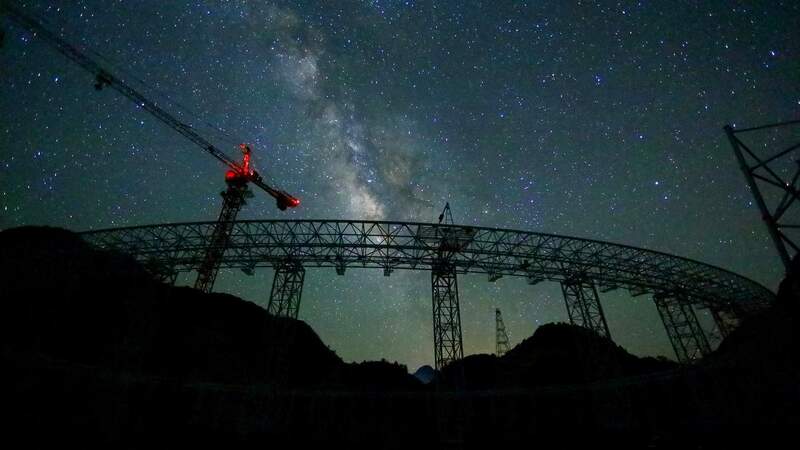 “In China, in astronomy, we’re far behind the world,” says Prof Peng Bo, the deputy project manager of the Five-hundred-metre Aperture Spherical Telescope - or Fast for short. 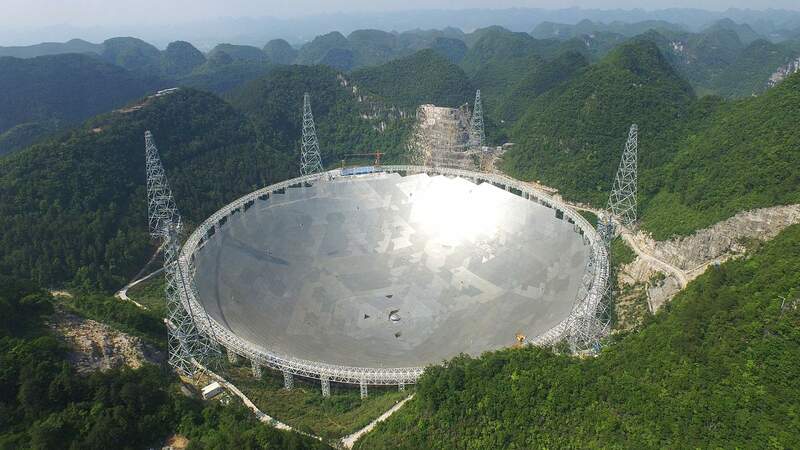 Situated in Guizhou Province, in the south-west of the country, Fast dwarfs all other radio telescopes. 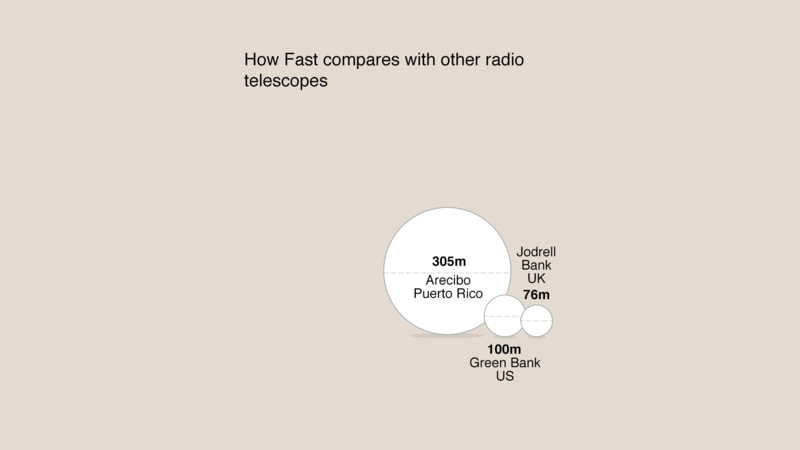 The former record-holder was the Aricebo Observatory, in Puerto Rico, with a diameter of 305m (1,000ft). The Lovell telescope at Jodrell Bank in the north of England measures 76m (249ft) across. 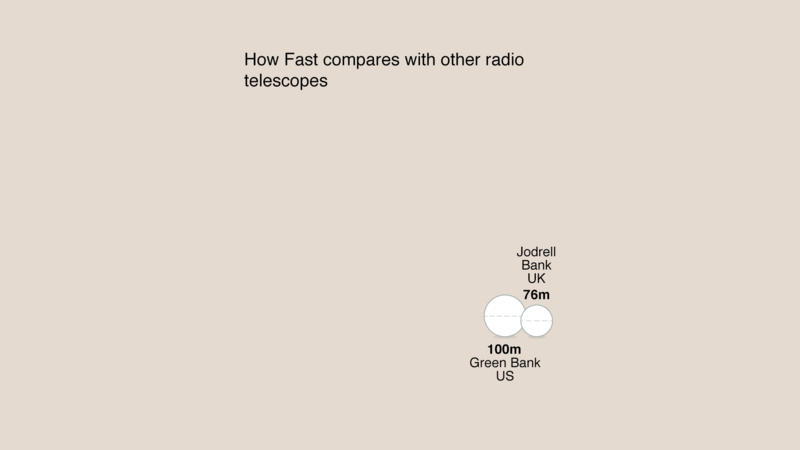 This isn’t simply one-upmanship - bigger really is better when it comes to radio astronomy. While some telescopes, such as the Hubble Space Telescope, use light to see the visible Universe, a radio telescope is more like a giant ear “listening” for radio waves emitted by objects in deepest space. Like light, radio waves are a form of electromagnetic radiation - but they have extremely long wavelengths, ranging from about a millimetre to more than 100km in length. And because these cosmic signals have travelled for great distances in space they are also incredibly weak. This is why radio telescopes need to be big - the larger the dish, the more signals it can collect. 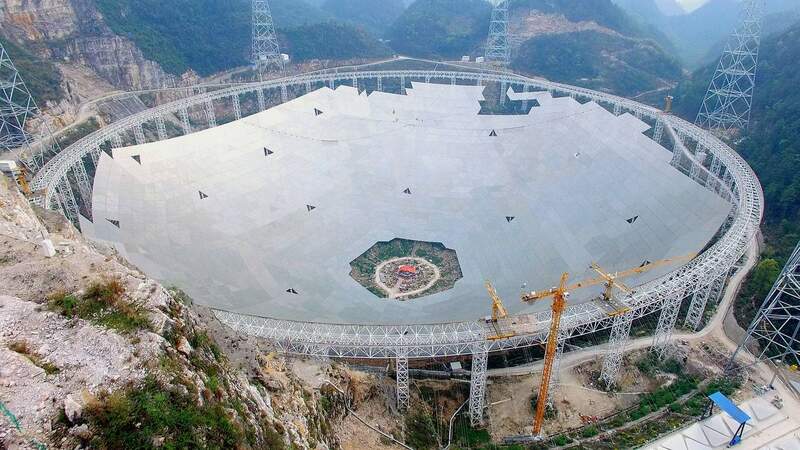 China’s new telescope is so large that the team hopes it will pick up radio waves from the far reaches of the cosmos. The telescope will be searching for ancient signals of hydrogen - one of the building blocks of the early Universe - to try to understand how the cosmos evolved. It will also be hunting for new stars - in particular a rapidly rotating and extremely dense type of star called a pulsar - and it will even join the hunt for extraterrestrial life. “The search for extraterrestrial life is a very hot topic for every telescope - and also for the public. I think Fast can make a contribution,” Peng says. It took 10 years of trawling through satellite images of the Chinese countryside to find a natural depression big enough to fit the telescope inside. But construction has taken place in record time - just over five years, and it’s nearly complete. 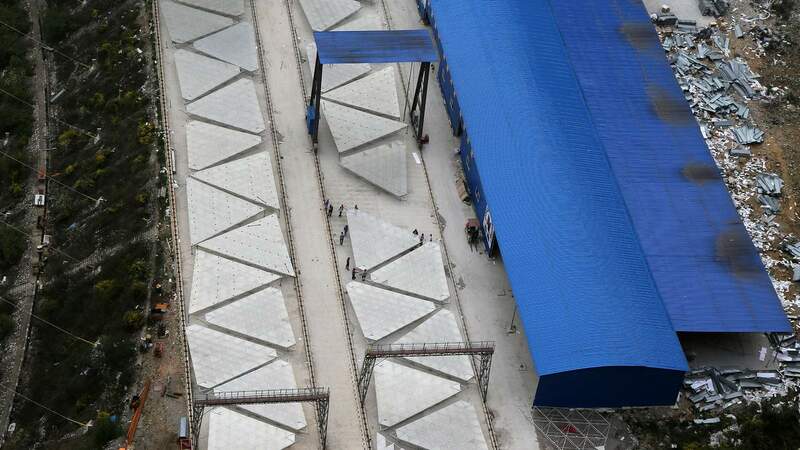 The dish is made from 4,450 triangular panels that have been painstakingly lowered into place. While the structure in its entirety is too big to move, each of the panels can be adjusted. 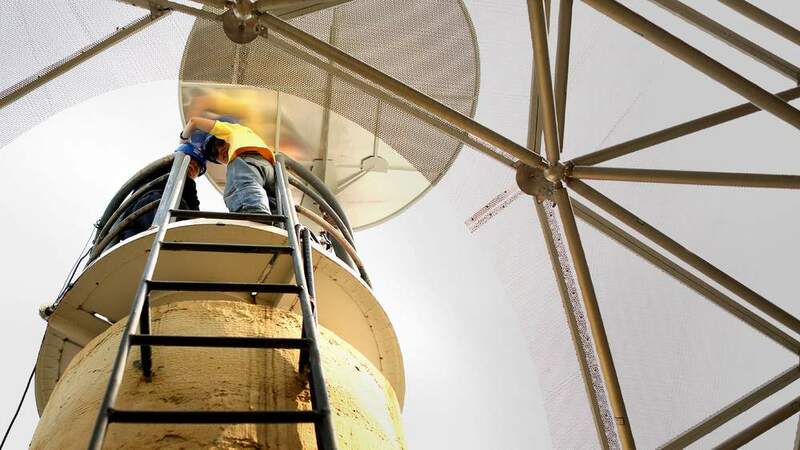 It means the telescope’s surface can be re-angled to allow scientists to study the parts of the sky they choose. 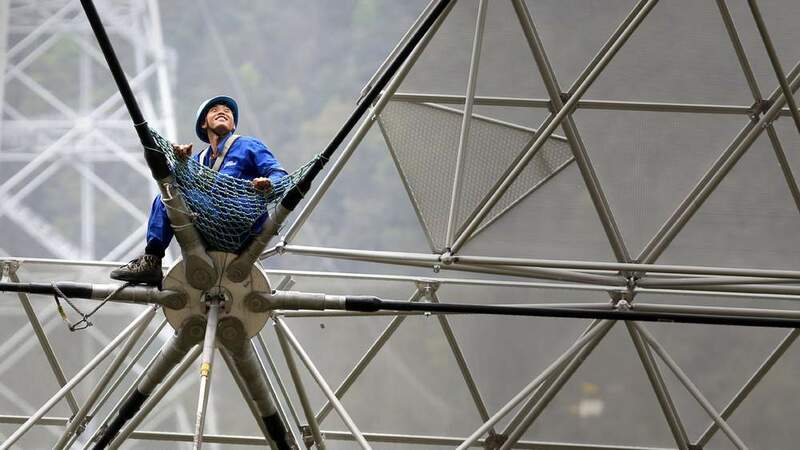 The man masterminding this ambitious project, Prof Nan Rendong of the National Astronomical Observatories at the Chinese Academy of Sciences, says the telescope has been the biggest challenge of his career. 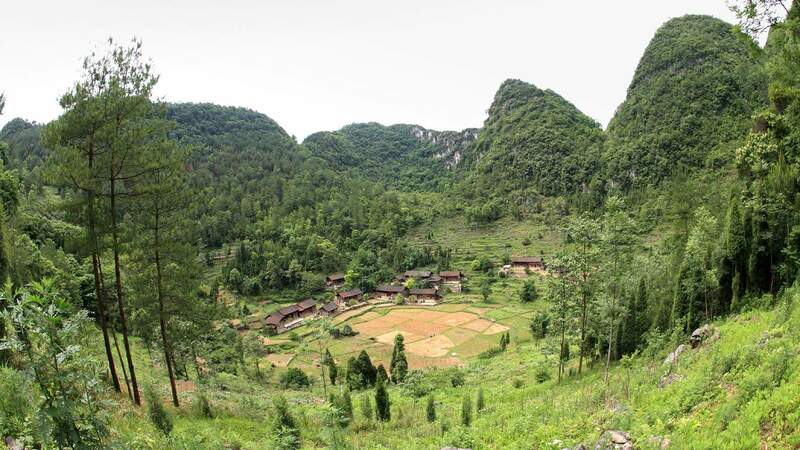 “Guizhou is a developing province and our site is remote, in a poor area of countryside,” he explains. In ancient times, China was a world leader in science, famed for four great inventions - the compass, papermaking, printing and gunpowder. But over the centuries, as the ruling dynasties placed more focus on the arts, progress stagnated. And in the 1960s, in the turmoil of the Cultural Revolution, things got even worse. Many intellectuals and academics were forced to move to the countryside, and most scientific research came to a halt. 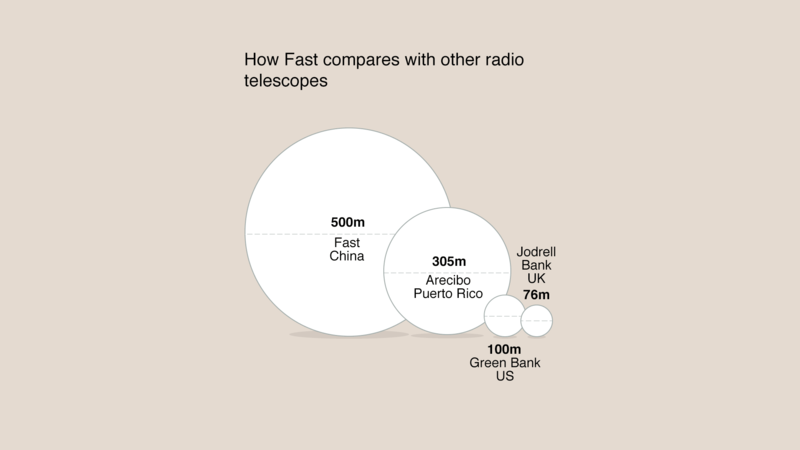 But projects like the Fast telescope are powerful symbols of a scientific renaissance. In 2013, China’s research and development spending overtook Europe’s and it is set to outstrip the US’s by 2020. A recent assessment by the journal Nature revealed that in terms of the number of papers being published, China now ranks second in the world behind only the US. “I think in China, there seems to be a sense of urgency. 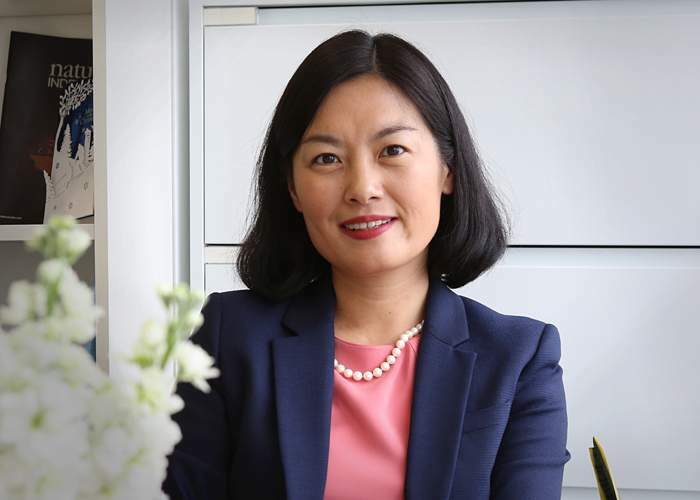 There’s a feeling that in the last 100 years, we lost a lot of opportunities because we weren’t doing research,” says Charlotte Liu, managing director in China for the science publisher, Springer Nature. But for those living in the shadow of Fast, the telescope is bringing unwelcome changes. Villages located within 5km (three miles) of the telescope will be subject to a radio quiet zone. Some reports have suggested that thousands of people may be affected. Anything that could interfere with the telescope, such as mobile phones or wireless networks, will be banned, and although the government has offered compensation to those who want to leave, some are unhappy. One woman tells me it will be too difficult to live here, so she’ll be moving soon. A man says that while he supports the project, he’s unhappy with the amount of compensation being offered. It’s not enough money to move to the city, he says, so he’s decided to stay put for now. The scientists say they accept that people are having to make sacrifices, but they hope that the telescope will help the area. 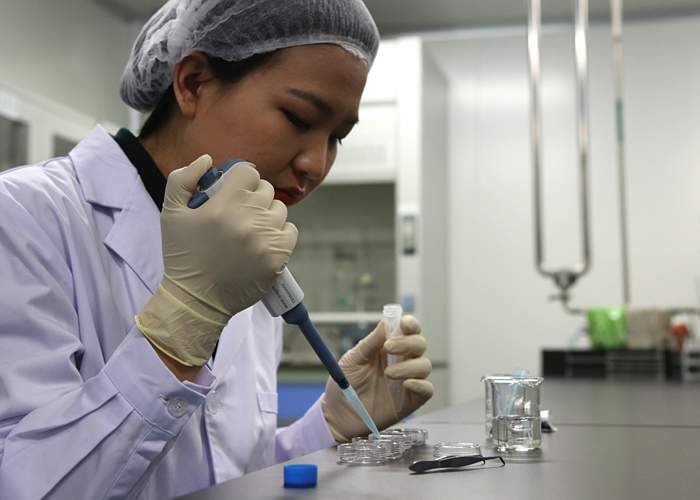 “It will attract a lot of scientists and tourists, and it’s also a very good model for education, for the next generations, and for Chinese industry,” says Nan Rendong. The project is currently on time, ready for completion in September. Only once it’s switched on will we see whether it can help China to reclaim its science crown. Inside a cavernous, brightly lit shed, row upon row of pigs snuffle and shuffle around in their pens. Pork is big business in China, and this farm in the Guangdong Province in the south of the country has 2,000 pigs. These animals are bred for their meat - but there’s now a new use for the pig parts that aren’t destined for the dinner table. 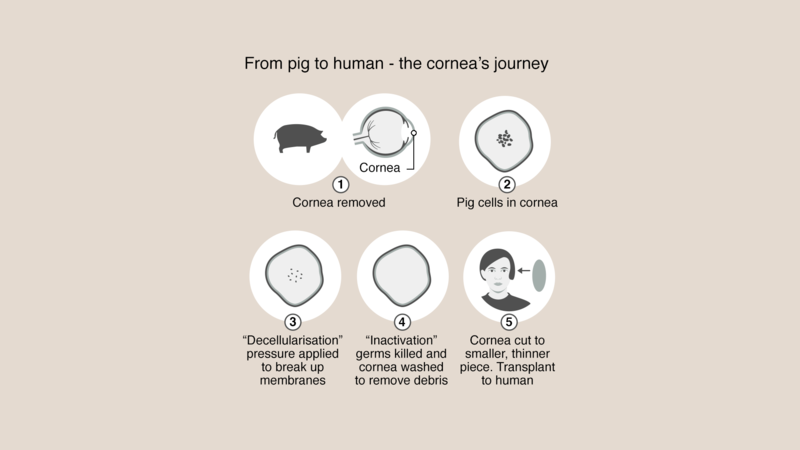 Once the pigs are killed, their corneas - the thin, transparent films that cover the front of the eye - are removed from some of them and set aside, to be transplanted into humans. 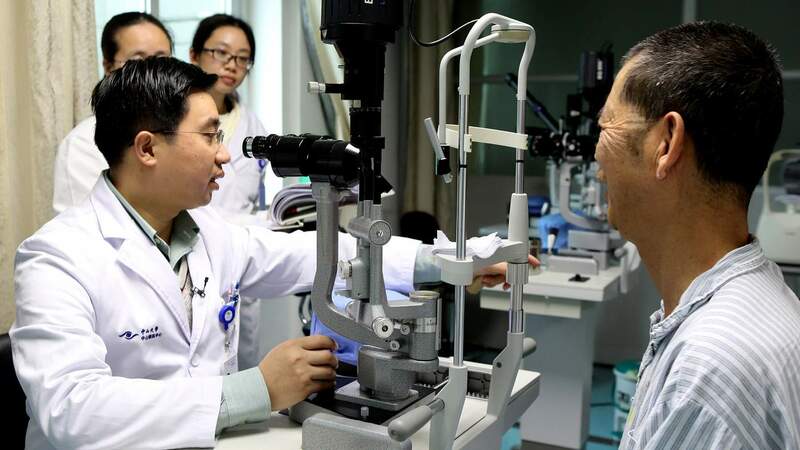 A few hours’ drive away is China’s oldest, and largest, eye hospital - the Zhongshan Ophthalmic Centre. 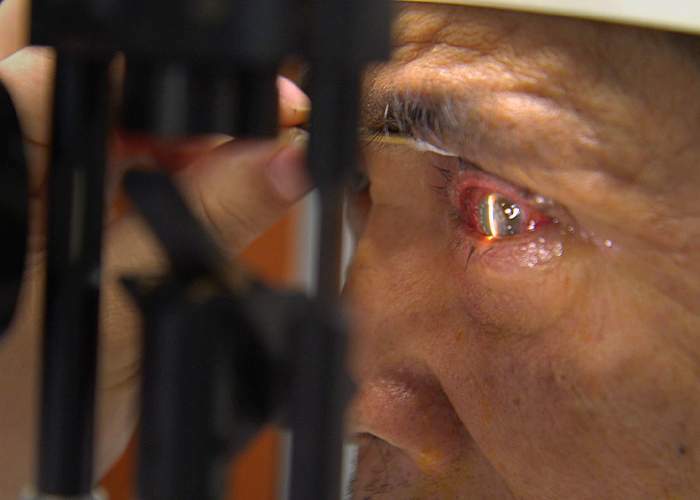 China accounts for a fifth of the world’s blind people: about eight million of its 1.4-billion population. As Dr Yuan Jin walks around the busy ward, he tells me that corneal disease is responsible for between 3.5 and five million of these cases. Injury or infection of the cornea, if untreated, can eventually lead to loss of sight - and for many, the only hope is a transplant. But the waiting list is extremely long. Once the main source of organs in China was from executed prisoners. 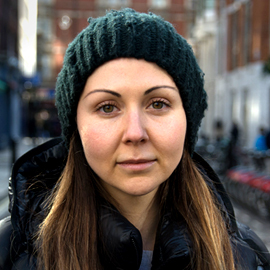 But last year, the government stopped this controversial practice, and instead began encouraging people to sign up to donate their corneas after death. But today he is examining the eyes of patients who have been given pigs’ corneas. The Chinese government gave the go-ahead for this experimental procedure last year, and about 200 operations have now been carried out. 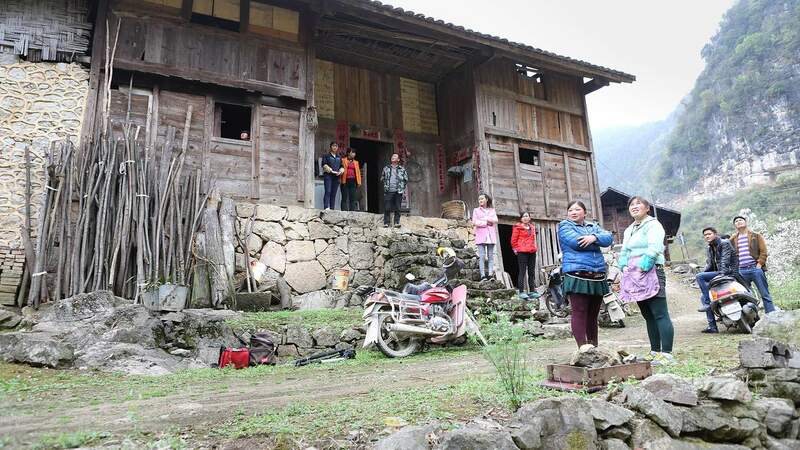 Fifty-eight-year-old Wu Pinggui is one of the latest recipients. Eventually he lost his sight in that eye - and subsequently lost his job as a security guard. Now, 24 hours after surgery, some sight is returning. I ask him if he was surprised to be offered an animal’s cornea. “I wasn’t too surprised, I trusted the doctor’s decision,” he says. Just 35 years ago, the city of Shenzhen was a fishing village. 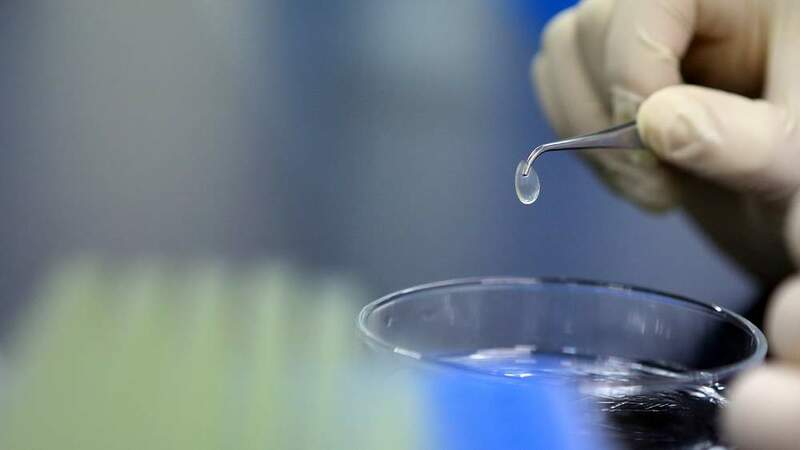 Today it’s been transformed into a hub for innovation, and China Regenerative Medicine International (CRMI), the company that has developed the new cornea procedure, has its laboratory here. 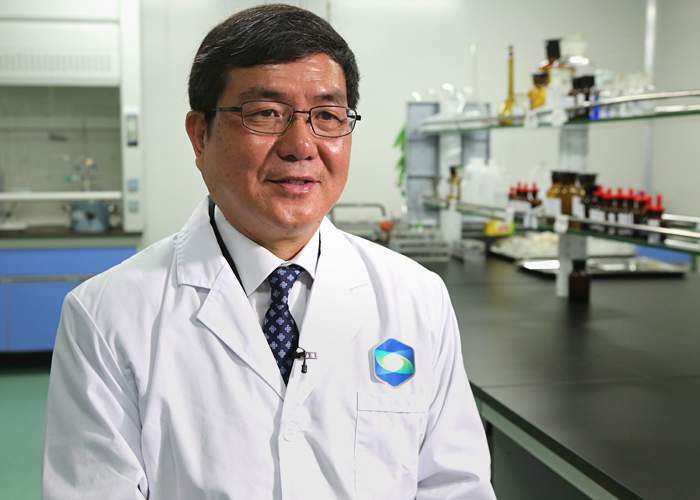 “We tried many animals - goats, dogs, pigs and cows,” says Dr Shao Zhengkang, the company’s chief executive, explaining that it took 10 years of research. 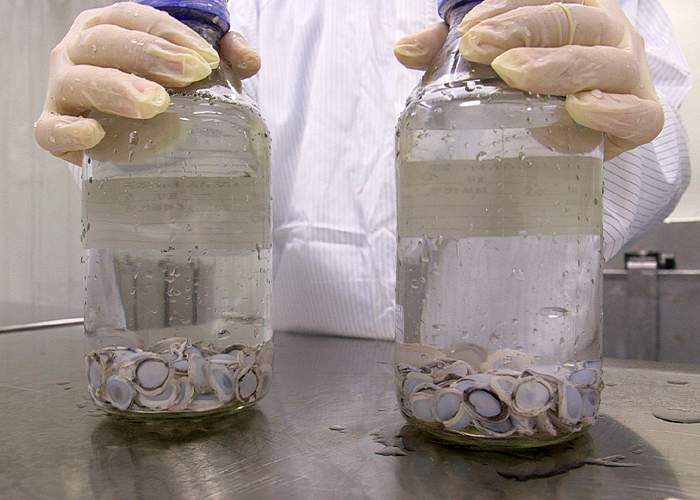 Inside the lab there are flasks filled with corneas that have been removed from the pigs. 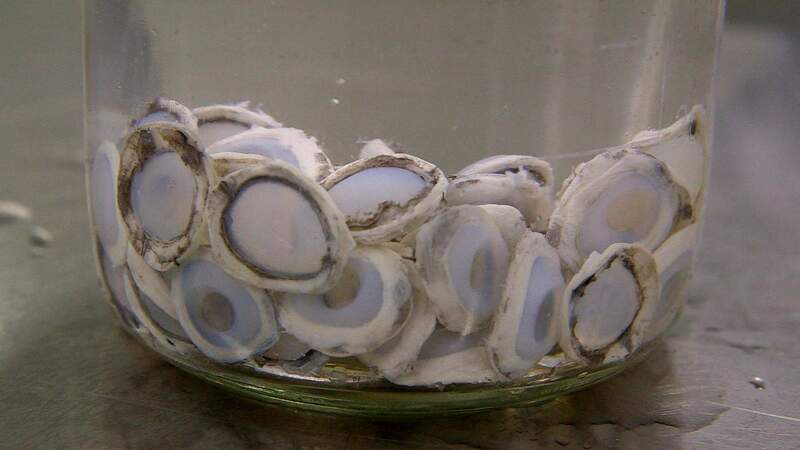 They are milky white and glutinous - and need to undergo a process called decellularisation. 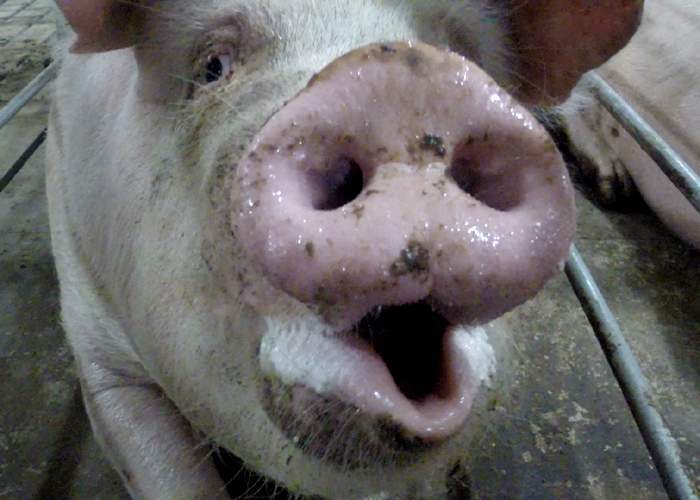 Essentially the pig cells are stripped away, removing the animal DNA, proteins and lipids. 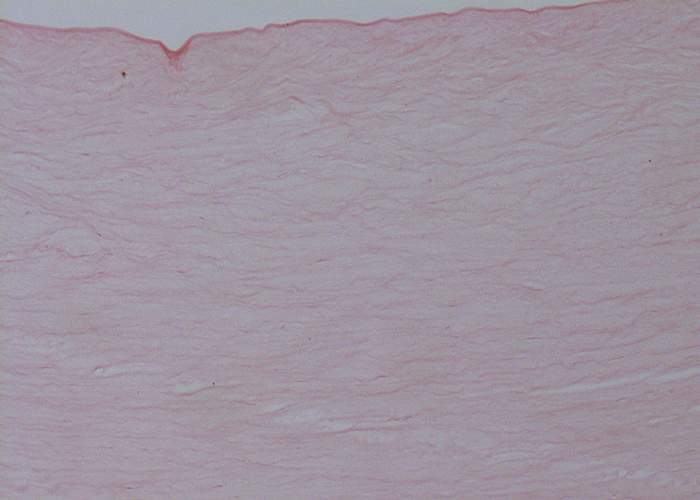 Anything that could cause the patient’s body to reject the tissue has to go. All viruses and bacteria are also inactivated, to prevent any diseases crossing from the animals into humans. 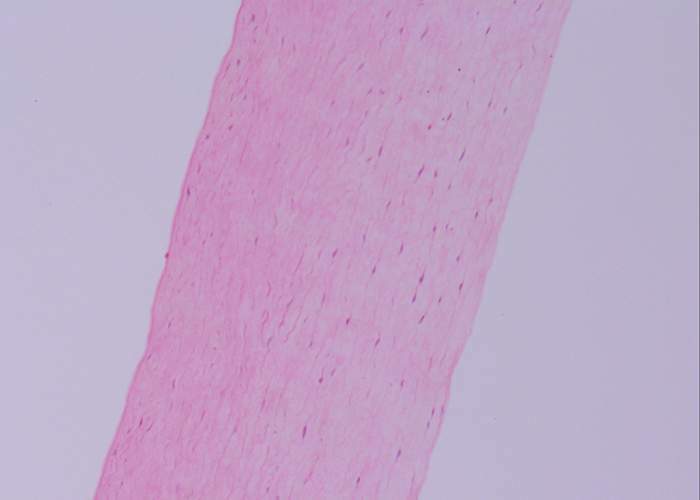 Just the basic shape, the collagen scaffolding, of the cornea is left behind. Once transplanted, it is then repopulated with the patient’s human cells. Shao shows me the final product. The cornea looks like a contact lens. CRMI has spent 1bn Chinese Yuen (£100m, or $150m) developing it, but Shao admits the treatment is still at an early stage. “It’s very different from the traditional treatment. It’s totally new. So it takes time to introduce to hospitals, patients and society,” he says. The company says the success rate for the operations is above 90% - about the same rate achieved with human transplants. 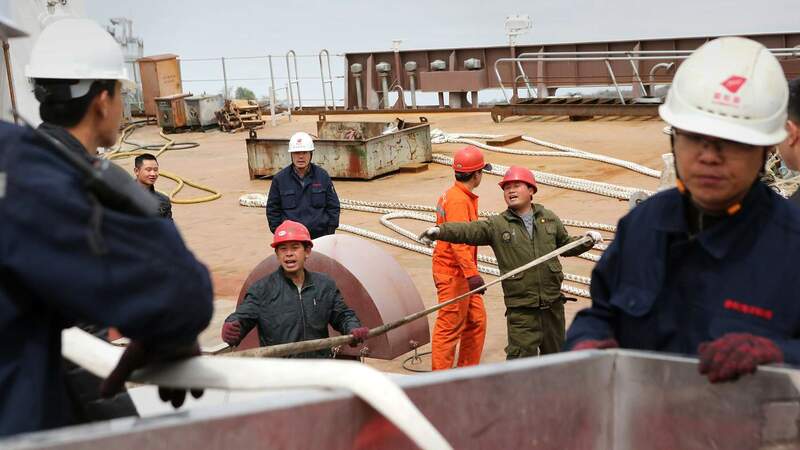 But some believe that China is moving too quickly, without assessing the risks - or the ethics. Animal-to-human-transplantation is just one area where China is straying on to controversial ground. Work on stem cells, cloning and gene-editing of embryos is also making waves in the international scientific community. “I think some people have the view that China is at a frontier in science, and therefore there’s a lot of ambition and appetite to explore the latest technology,” says Charlotte Liu from Springer Nature. But she says increasing scrutiny from other researchers around the world does seem to be changing this. In the hospital, Wu Pinggui’s check-up has gone well. His eye is still a little red, but the healing process has begun. He says this will make a big difference to his life - and he hopes that when he’s better, he’ll be able to find a new job. Perched on an electric buggy, I descend underground. I speed along a tunnel that has been carved into the rock, heading ever deeper beneath a mountain. “The rock is granite - it’s very hard. 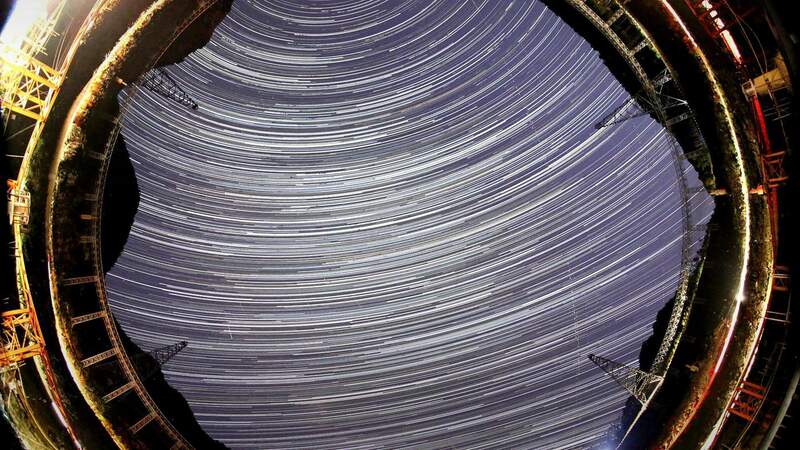 There’s 300m (980ft) of it above us, and it shields us from cosmic rays,” explains physicist Prof Cao Jun. In this subterranean experiment, at Daya Bay in the south of China, scientists are studying some of the oddest particles in the cosmos - neutrinos. 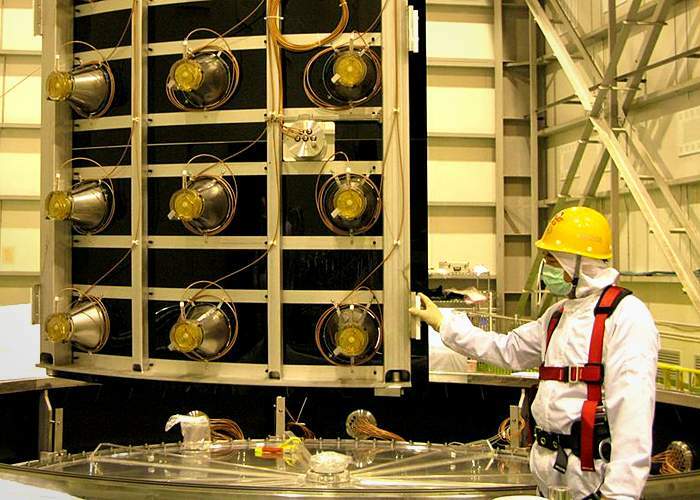 Neutrinos are generated by nuclear reactions - from the fusion in stars, to nuclear power stations here on Earth - and are one of the most abundant particles in the Universe. Trillions of neutrinos pass through us every second, but we cannot feel them or see them - they have no charge and barely a hint of mass. They’ve been described as being as close to nothing as something can get. But stranger than all of this is the way neutrinos are constantly changing. As they travel through the Universe, they switch between three different forms - or “flavours”, as scientists put it. It’s like throwing a banana through the air, and watching it turn into an orange, an apple and then into a banana again. No other particle does this, so far as we know. But the Daya Bay experiment is one of a handful around the world that may help scientists to understand this weird behaviour. It’s looking at a steady and stable flow of neutrinos generated by a nearby nuclear power station. Underground, at the end of the tunnel, we reach the heart of the experiment. A series of huge particle detectors has been installed down here, and they can detect the very rare occasions that neutrinos bump into regular particles. The detectors are located in different positions, some several kilometres apart, so by seeing how these neutrino collisions differ from one detector to the next, scientists can chart how the particles change as they travel. 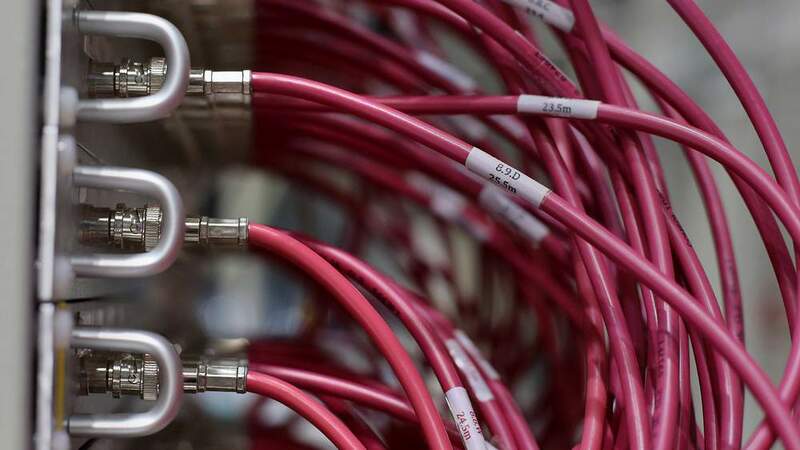 “Every day we’re detecting thousands of neutrinos. 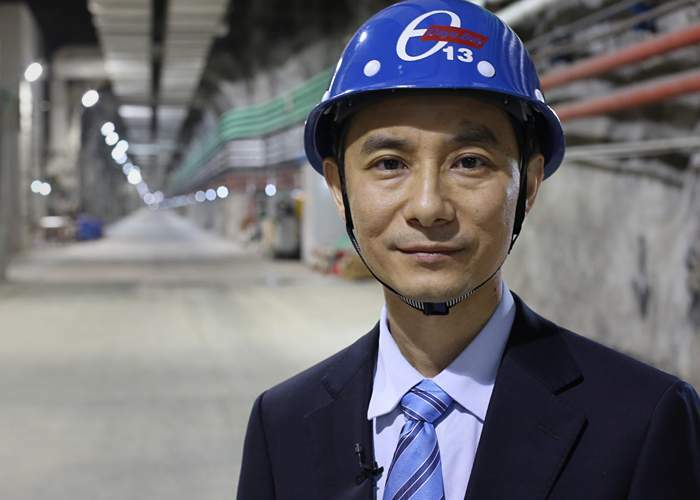 It’s a golden age - it’s very exciting for neutrino physics,” says Cao Jun. In particular, the team has been able to calculate more precisely than ever before how likely a neutrino is to flip from one form to another. Their results have even hinted that there may be a fourth mysterious neutrino flavour - although this has yet to be confirmed. The work here has been so successful that last year it won a Breakthrough Prize - a high-profile international award. Not bad considering China only really began to invest in this field in the 1980s. “Now we’re starting to see the results,” says Prof Wang Yifang, who, as the director of the Institute of High Energy Physics at the Chinese Academy of Sciences, oversees this research. Like many scientists in China, Wang has spent time working abroad, in Italy and the US. It used to be the case that scientists who left the country rarely returned, but now this brain drain is being reversed. “I think with more and more investment from the government and more and more opportunities, I think there will be more people coming back,” says Wang. And returning scientists are helping to forge bonds with other countries. Wang says if Chinese science is to progress, it needs to work on collaboration. Charlotte Liu of Springer Nature makes a related point about the benefits of scientific openness. A survey carried out by the journal Nature (one of Springer Nature's stable of publications) suggests that some Chinese scientists are reluctant to share their results with the wider research community, but such an approach is counter-productive she argues. Nature’s survey also found that Chinese scientists are under pressure to publish increasing numbers of scientific papers - and that a failure to do this could have an impact on funding. Wang Yifang argues that there is too much emphasis on quantity. 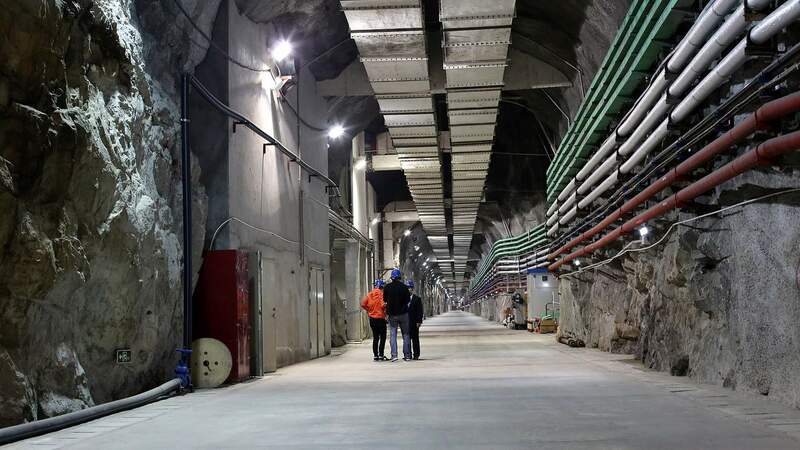 At the underground neutrino lab, the team is already preparing to go further. 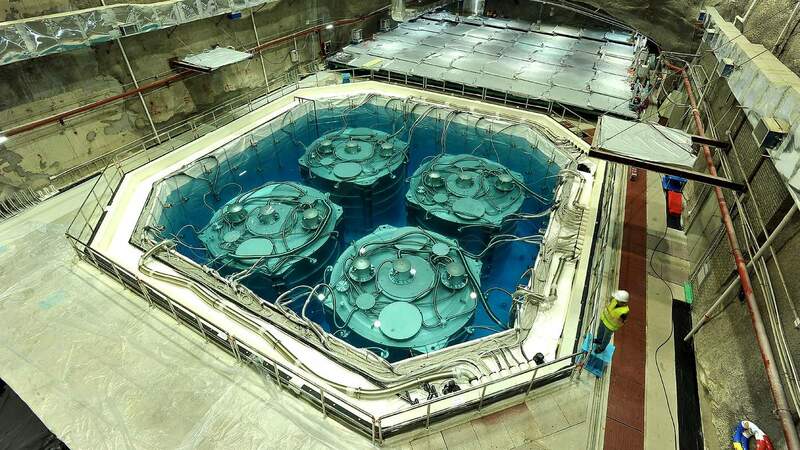 Cao Jun tells me work has already begun on a huge follow-up experiment. And just as China has built the biggest radio telescope, its scientists are considering breaking another record, this time in the field of particle physics - with an even larger version of Cern’s Large Hadron Collider. 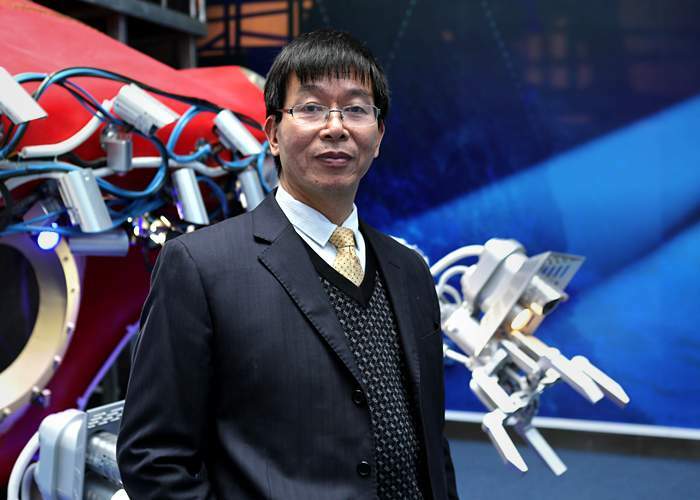 “It’s a good time for scientists in China right now,” says Cao. In a shipyard a few hours south of Shanghai music is playing, Chinese lions are dancing and giant balloons are whipping about in the wind. 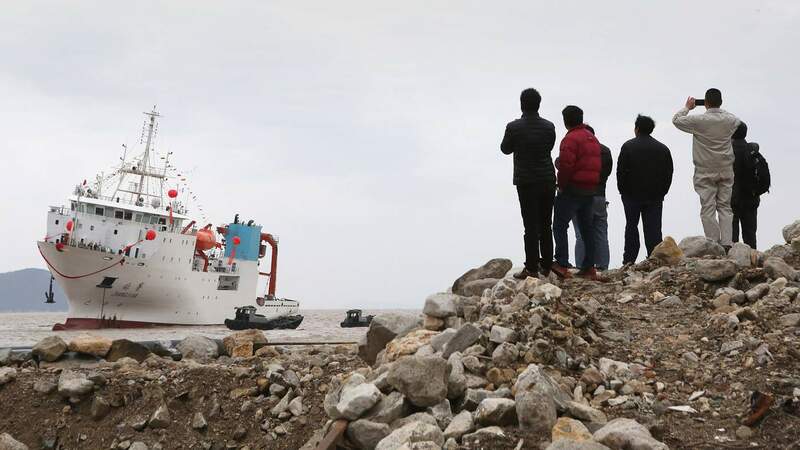 A huge crowd has gathered to watch China’s new scientific research ship enter the water for the first time. And after the obligatory bottle of champagne is smashed, the tethers are cut and the 100m-long vessel rolls into the water. This ship, equipped with on-board labs and the latest scientific kit, will eventually explore the world’s oceans. But it is also going to help China plunge beneath the waves: it will serve as a launch-pad for submarines that can dive to the deepest parts of the ocean. 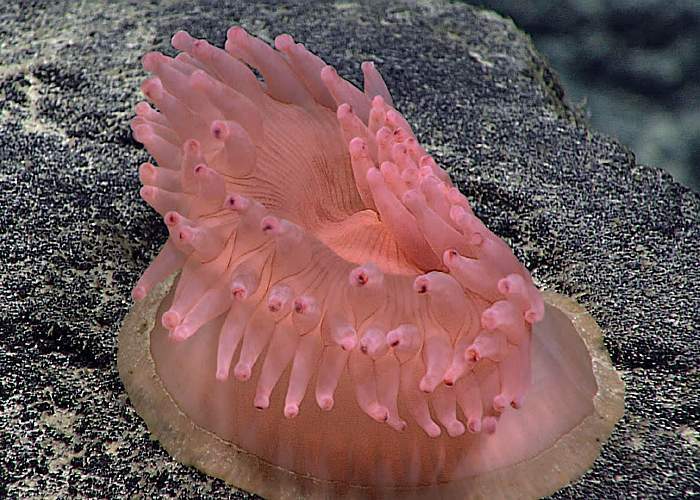 “Humans know much less about the deep oceans than we know about the surface of the Moon and Mars. That’s why I want to develop the facility for ocean scientists to reach the deep seas,” says Prof Cui Weicheng. 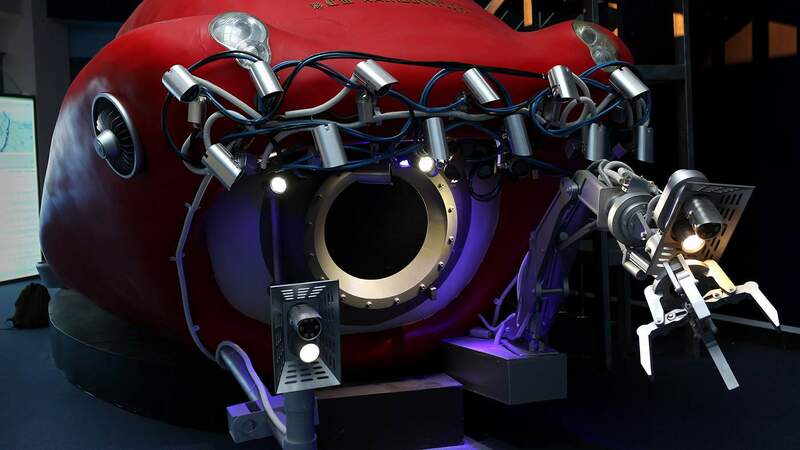 He is the dean of deep sea science at Shanghai Ocean University but he has also set up a private company called Rainbow Fish, which built the new research ship and is busy developing submersibles. One of its unmanned subs reached a depth of 4,000m (13,000ft) in its most recent trial. But Rainbow Fish’s ultimate goal is manned exploration and it plans to the take humans to the very bottom of the ocean - the Mariana Trench, in the Pacific, at a depth of nearly 11,000m (36,000ft). Cui shows me around a life-size model of the submarine that he hopes will make the dive in 2019. It’s bright red, about 10m-long and has a streamlined design. 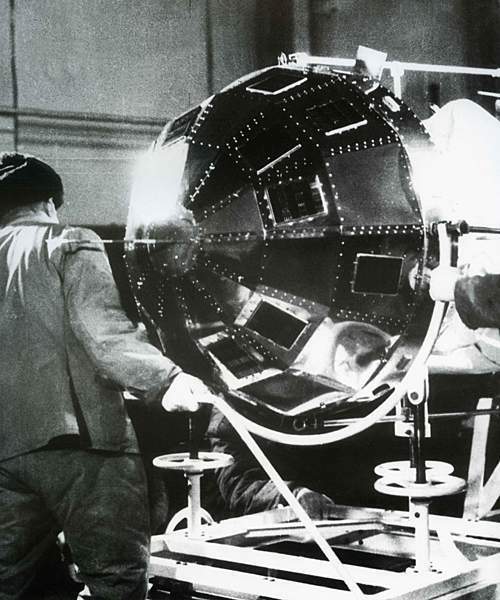 He explains that there is room inside for a crew of three, who will be protected by a thick metal sphere. It will have to withstand immense pressures from the crushing weight of water above. If there are any weaknesses the submarine will implode. The deepest ocean is a place few people have ever experienced first hand. The first dive to the Mariana Trench was carried out in 1960 by US Navy Lieutenant Don Walsh and Swiss engineer Jacques Piccard. Their vessel, the Bathyscaphe Trieste, creaked and groaned as it made the descent, taking nearly five hours. The only other manned expedition was carried out by Hollywood director James Cameron, who took a solo plunge in a bright green submarine in 2012. Rainbow Fish wants its sub to be next. But the Chinese government is also exploring the deep. 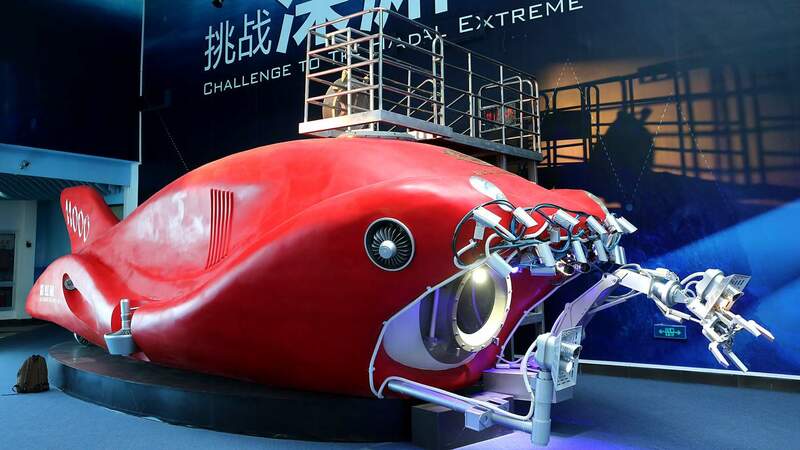 Its manned Jiaolong submarine - designed by Cui before he set up his new company - has made more than 100 dives, reaching an impressive depth of 7,062m (23,169ft). Now the government is also planning a new vessel that will be able to explore the deepest trenches. It stresses the purpose is purely scientific. But tensions are currently high in the oceans. China is involved in territorial rows in the South China Sea, and has a growing military presence there. 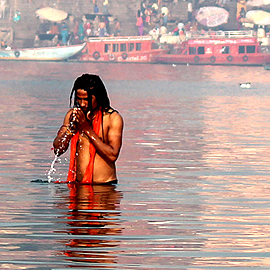 Some fear that marine technology may be used to advance its control of disputed waters. The Rainbow Fish team insists its venture isn’t about politics and that it is looking to collaborate with American, Russian and European scientists. It is, though, a commercial operation. 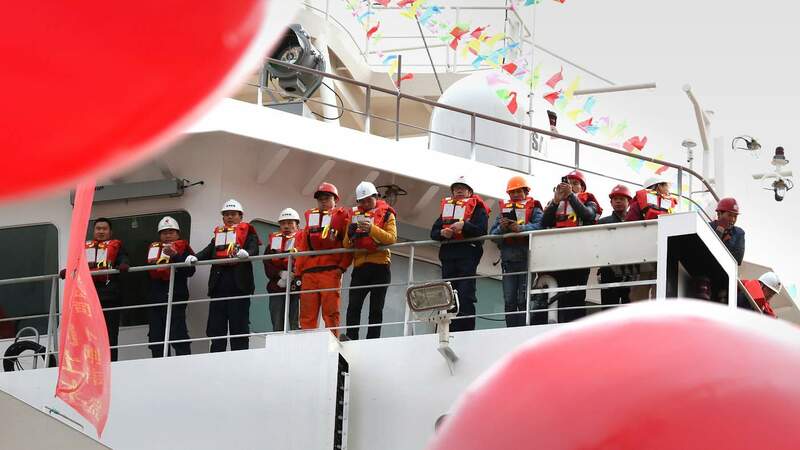 The company plans to charge people to use its research ship and submarines, and is targeting three groups, says managing director Dr Wu Xin. “The first is definitely the scientists who are interested in studying deep-sea science and technology. The second group is offshore companies and oil companies. The last one is tourists and adventurers [who] want to go down themselves to have a look at what’s going on there,” he says. This kind of entrepreneurial approach may be a new model for science in China. 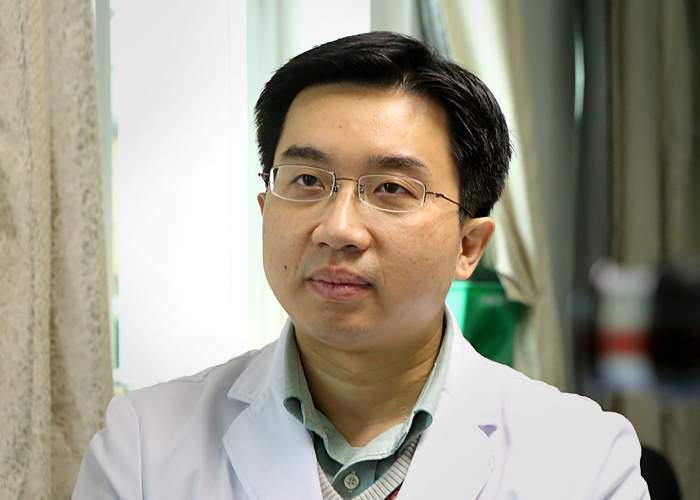 Cui Weicheng says moving away from state-funded research can provide more freedom. Government-funded projects can be bureaucratic and slow, he says. Deep-sea research is a difficult, high-risk activity - and much of the ocean remains unexplored. 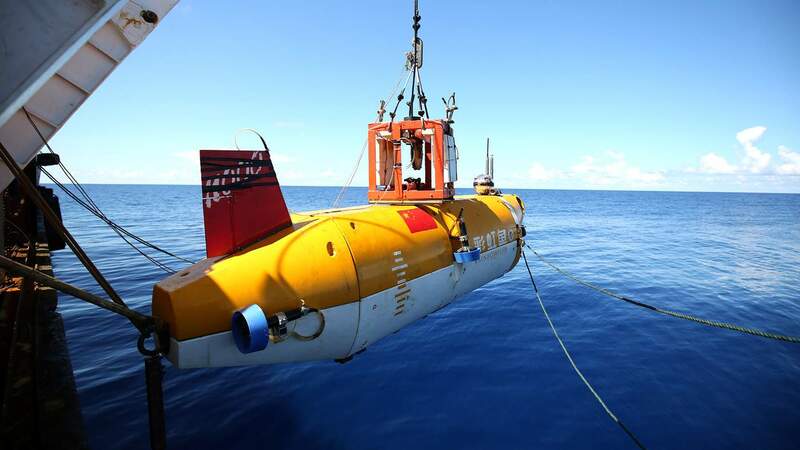 But Cui, who hopes to be the first Chinese person to reach the Mariana Trench, believes that China could be the nation to truly open up this final frontier. 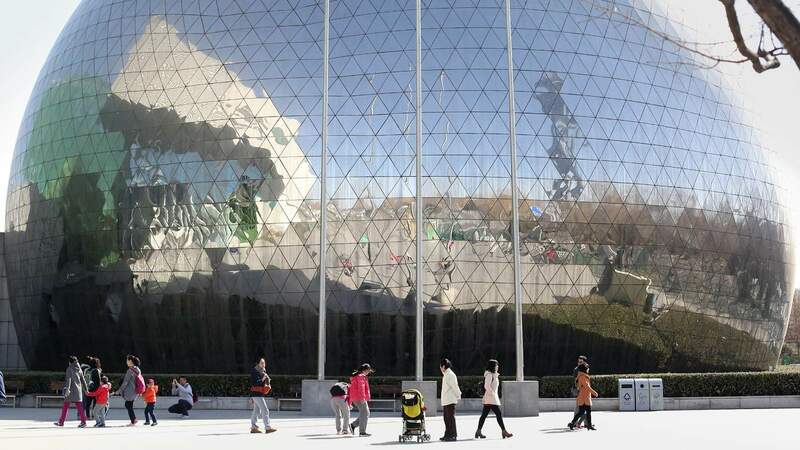 At Beijing’s science and technology museum children are running around, clambering inside a model of a space station, taking miniature rovers for a test drive and even having a go on a spinning gyroscope. “Space is fun and very cool,” one little boy tells me. I ask him about his ambitions, and he pauses for a moment before deciding yes, he would very much like to head into space and become a Chinese astronaut - or taikonaut - when he grows up. China’s space programme has certainly captured the imagination here, and there is a sense of national pride in the country’s achievements. China’s space age started on 24 April 1970. A heavy, spherical satellite called Dongfanghong 1 - the East is Red - blasted off into space, broadcasting a song extolling the virtues of Chairman Mao. In the decades that followed, with launches of more orbiters, probes and taikonauts, the country has been rapidly establishing itself as a space power. But for many years, its progress has been shrouded in secrecy. While many of the world’s space agencies, such as Nasa, Esa and Roscosmos, are civilian organisations, China’s space programme is led by the military. But there are signs that it is starting to open up. 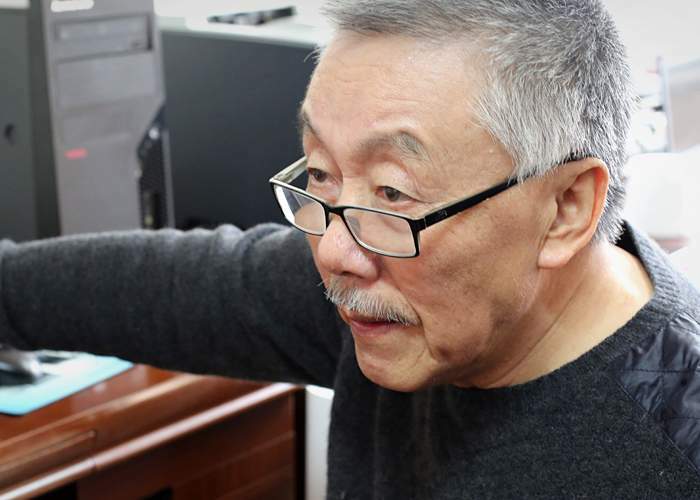 In his office in Beijing, Prof Wu Weiren spins a large globe of the Moon. 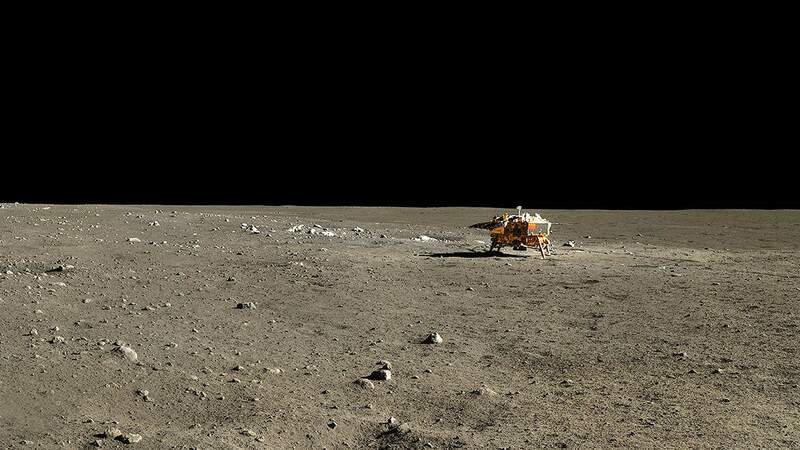 He is the chief designer of China’s lunar programme, which in 2013 landed the first probe on the Moon for nearly 40 years. 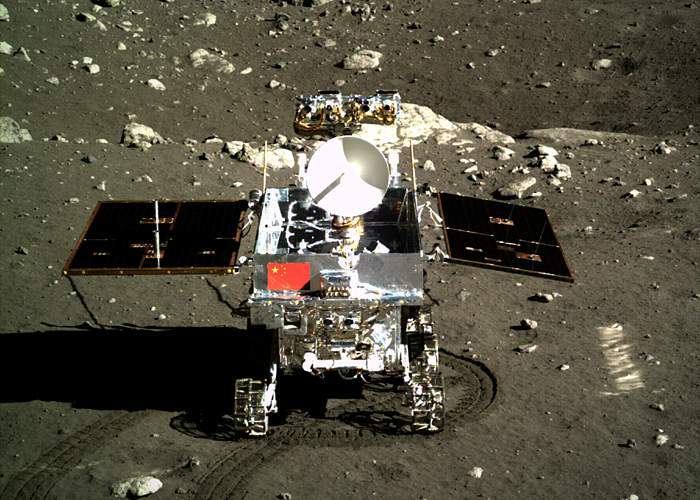 He proudly points to the place where the Yutu rover set down, which is marked on the globe by a Chinese flag. “The Chinese are quite modest and introverted. Before we accomplish something, we don’t talk about it. And afterwards, we don’t talk too much either,” says Wu with a smile. But in this interview - his first with a foreign journalist - he is clearly taking a different approach. He says his job is very high-pressure. “Our space programmes have an emphasis on success,” he explains. 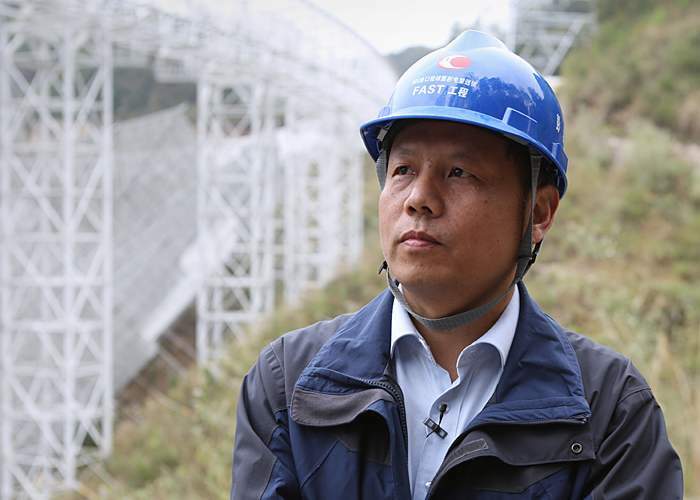 He tells me about China’s new programme of exploration, which includes a return to the Moon. There are plans for a sample-return mission, where some lunar rock will be grabbed and brought back to Earth, and also a visit to the far side of the Moon, which is scheduled for 2018. 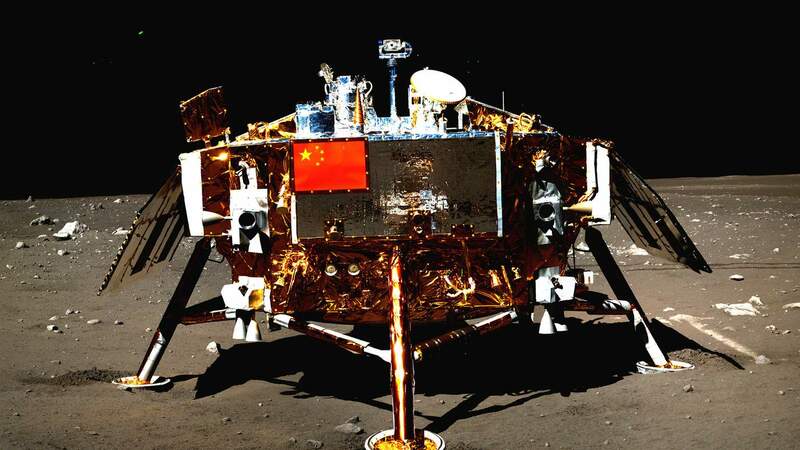 China also has its sights set on Mars. At a recent press conference it announced it wanted to launch a mission to the Red Planet in 2020. “We will orbit, land a probe and deploy a rover on Mars all in one go,” says Wu. But for China, manned exploration is also a priority. In 2003 Yang Liwei became the country’s first taikonaut. He spent 21 hours in space and returned to Earth a national hero. 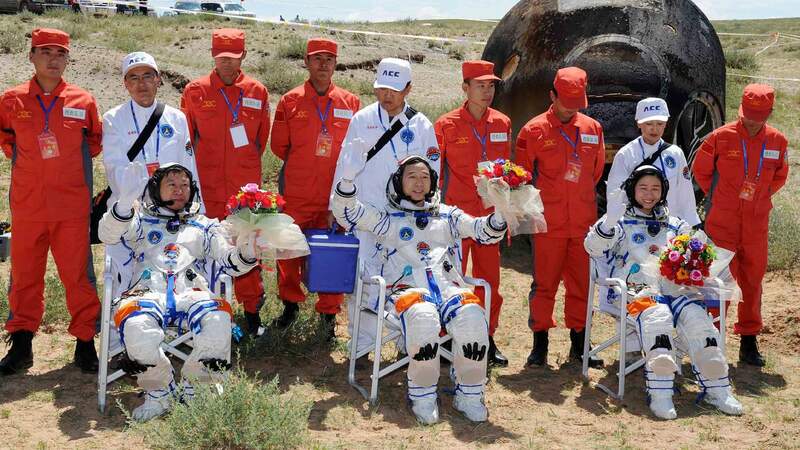 Nine others have followed - and this year, China is preparing to put another crew into orbit. But one place taikonauts cannot currently go is the International Space Station. The US says it will not work with the Chinese space agency because it is run by the military - and it fears that sharing technology could result in a breach of America’s national security. Wu Weiren says China is keen to collaborate and is working with Europe and the Russians on other projects. But the US remains a sticking point. “We have urged them many times to get rid of the restrictions that would enable scientists from both countries to work together on exploration,” he says. China’s solution for now is to build a space station of its own. 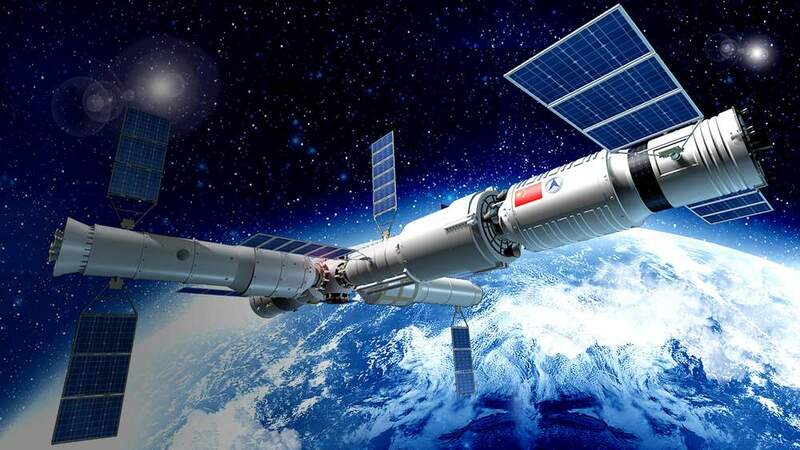 A prototype space lab, Tiangong-2, will launch this year, and a larger version will follow. It shows China’s determination to allow nothing to get in its way. 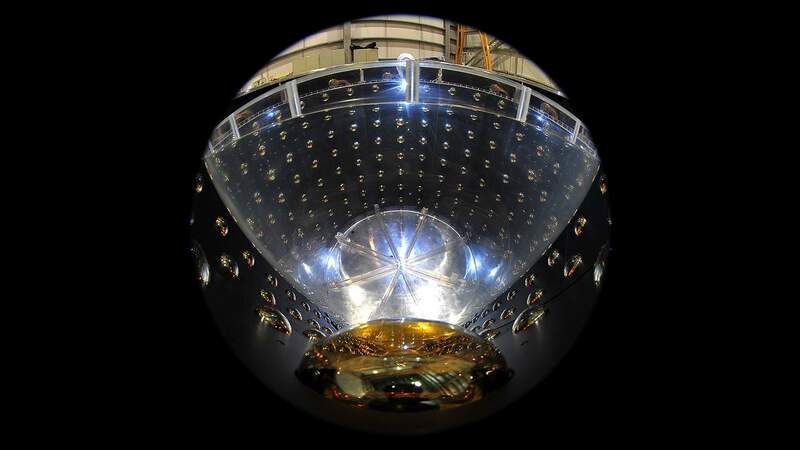 And its rapid progress in space mirrors advances in so many areas of science. In March, when the government announced its five-year plan at the National People's Congress, the word innovation was used dozens of times. In the next phase of its development China wants to go from being a manufacturing-based economy to a knowledge-based one. 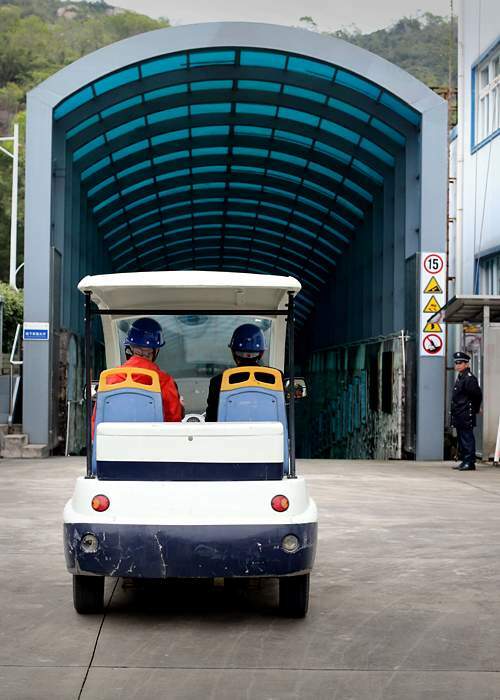 The rapid growth of China’s economy is slowing, but the government is putting research at the heart of its future plans. By 2020, the government wants its science investment to make up 2.5% of GDP. Charlotte Liu from Springer Nature says this is encouraging. “The government is very committed to continue to invest in science, but also to give science a very prominent role in the next decade. The country is clearly at a turning point. The money has been invested, the scientists are returning, and huge experiments are about to be switched on. But there are still challenges to overcome regarding ethics, collaboration, openness and quality of research. The world is now watching to see where this research revolution will go next - and whether China can complete its transformation into global science powerhouse.